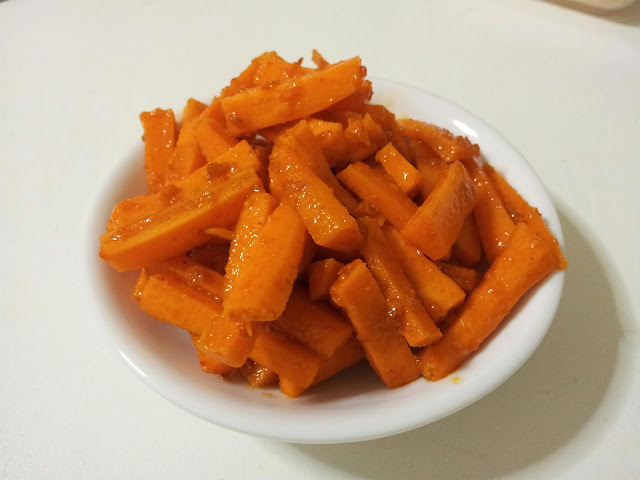 If there is nothing to have it as a side in your main meal, make this tangy and spicy pickle! - Wash the carrots with fresh water and peel them. 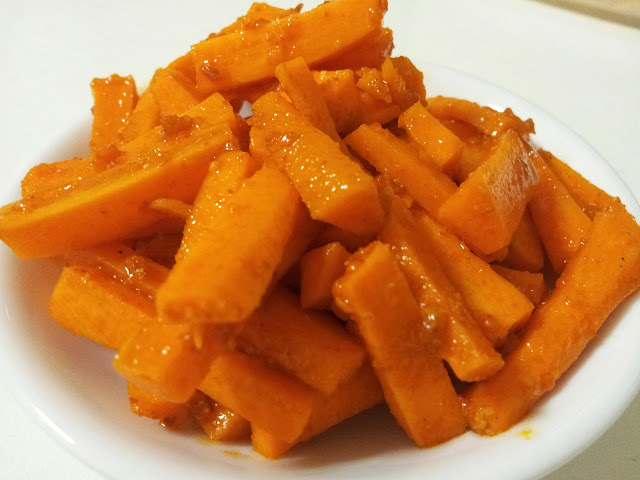 - Heat oil in a pan and add carrots. Cook it for around a minute to make them tender. - Add salt, methi masala and mix well. - Turn off the heat and add lemon juice. - Kasoori methi can be added as well. - Adjust methi masala according to your taste. I can't eat too much spice, so I kept it to 2 tbsp only. always have these in fridge, love it.